KUALA LUMPUR (March 19): Malaysia’s ringgit trades near the strongest since August, after the biggest one-day inflow into local equities in a month. * USD/MYR is little changed at 4.0758 after dropping to 4.0615 on Feb 25, lowest since Aug 1; support 4.0550, 4.0435, 4.0083; resistance 4.0950, 4.1045, 4.1355. * USD/MYR is likely to trade between 4.0700-4.0880 Tuesday, with the dollar expected to be supported by Monday’s decline in the pound, MUFG Bank analyst Sophia Ng writes in note. ** Malaysia’s January industrial production data beat estimates, but exports face risks as shipments across Asia are sluggish and semiconductor sales are weakening. 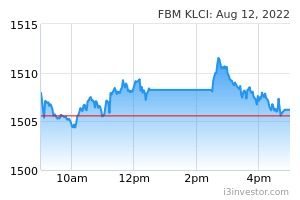 * Malaysia’s 10-year bond yield falls 1bp to 3.85%. * Govt will auction 2b ringgit of 30-year bonds on Thursday. * Govt is weighing several options to monetize assets to pare debt, including listing mature state entities, PM Mahathir Mohamad says on Tuesday. ** Fiscal consolidation target is on track and authorities won’t impose a new tax this year. speakup this is called SYIOK SENDIRI! WTF! want to brag about ringgit, brag when US$1 = RM3. OTHERWISE JUST SHUT THE FARK UP!